One pleasant side-effect of the never-ending cocktail craze? 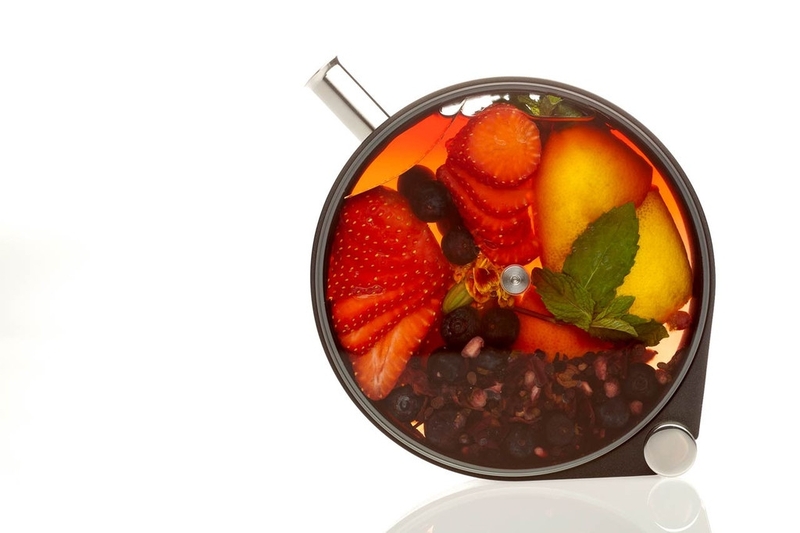 Beautiful displays of fruit-filled liquor bottles winking at you from behind every bar. Leave it to the folks at The Aviary in Chicago to come up with a better way. Their friends at Crucial Detail invented this clever alternative to jars and bottles, one that maximizes the beauty of the operation. The Porthole is an infusing vessel that allows you to arrange your raw ingredients into a bouquet you can gaze at from across the kitchen. It’s like looking into a small, private world. Once reserved for the exclusive use of Grant Achatz’s cocktail club, The Porthole is now available to everyone. It costs almost a hundred bucks – but I can’t think of a better present for a mad mixologist. I am in love with grapeseed oil. Its high smoking point lets me stir fry cleanly, without that awful scorched oil flavor. It has more nutrients than canola oil – and it’s made from the seeds of wine grapes, once destined only for the trash. But I’ve just discovered a “new” oil that has captured my heart. Benne oil is expelled from husk-on benne seed (a close relative of sesame, it was brought to North America by African slaves). Until the 1890s it was the primary cooking oil in the south; then scientists discovered an odorless way to extract oil from cotton seed and the less expensive oils took over. (Cotton, incidentally, is not specified as a food product, which makes this an undesirable oil in the kitchen.) Now, thanks to the efforts of Glenn Roberts and others, benne’s back. Benne grows voraciously in hot, unforgiving climates; fertilize it and goes crazy. So it will be a good crop to have around in the future. When cold-expressed, it yields an oil so subtly nutty I’ve been finding all manner of uses for it. This would be a perfect present for adventurous cooks who like discovering great new products. And of course, for food historians, eager for a taste of the past.